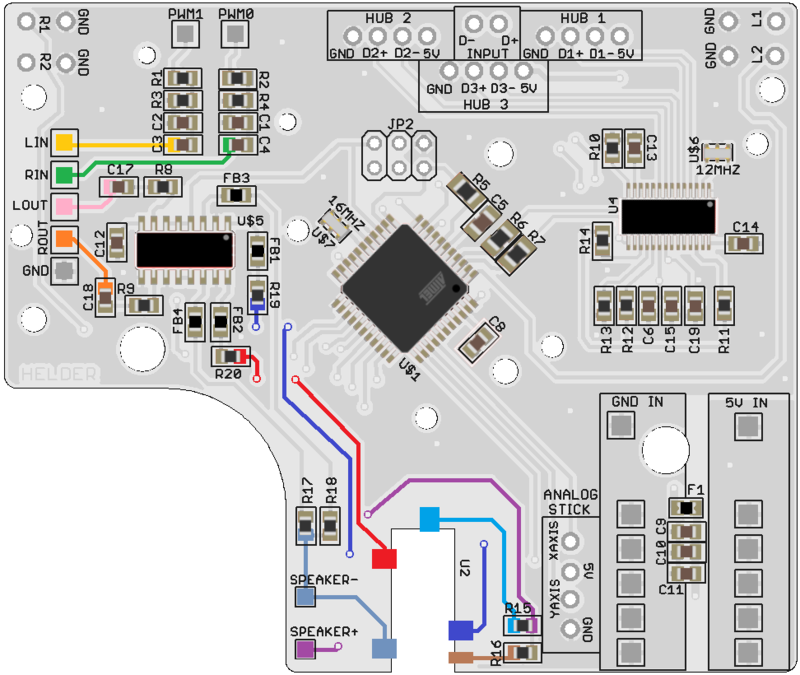 Have an issue or problem or question hooking up the All In One PCB? Ask here and I or someone will assist you. Workaround: Wrap a wire around the PWM audio wires coming from the Pi to the PWM Audio pads on the AIO and solder each end of the wire to a GND point on the AIO and Pi. This effectively creates shielding for the Audio which is prone to interference from all the other parts in the build. 1. How come the AIO gamepad is not being detected by Emulation Station? zero as it cannot provide enough power for the various chips on the AIO board. 2. Why am I not hearing any audio? c. Be sure you have a volume wheel soldered in and the pinout is correct, or best bet is to wire 2 jumper wires from Lin to Lout and Rin to Rout. This way the sound is sure to make it to the headphone socket and speaker. d. If you are using HDMI output to test AUDIO it will not work, all audio is redirected to the HDMI port when it's in use. 3. Why does my USB keyboard work but my USB wifi dongle is not being recognized? b. As a workaround, add “dwc_otg.speed=1” (without quotes) to your cmdline.txt. c. Try entering in the config.txt on a separate line "max_usb_current = 1", and reboot. 4. How come multiple button presses are registered when I only pressed the button once? a. 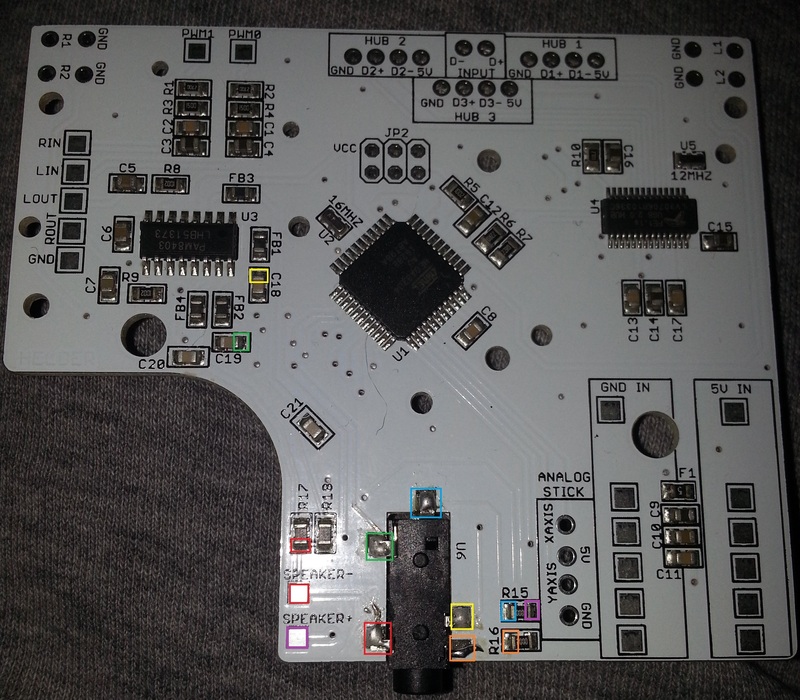 Clean the board and conductive button pads with isopropyl alcohol. Rubber membranes can often cause button issues so try find original or really good tested ones. b. An issue with the HID library used in the gamepad code may cause the issue. Below are the config.txt file and cmdline.txt that has the Audio fixes and also the USB1.1 fix. Simply put them in the boot folder of your Pi formatted SD card. AIO 2.2 boards if they are damaged during shipment can be fixed using this image for reference, simple solder a wire from one colored point to the same colored point. Another image for people burning and ripping pads off to follow for alternate points. 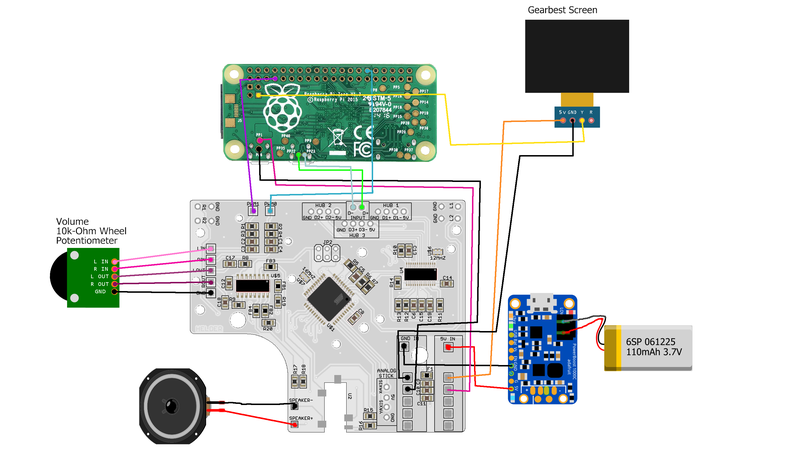 Another image for the headphone pinout. Last edited by Helder on Tue Sep 06, 2016 12:40 pm, edited 3 times in total. Like I said, the board disconnects after 5 seconds. How can I reprogram it? PotaTox wrote: Like I said, the board disconnects after 5 seconds. How can I reprogram it? Disconnects on the PC? does it happen when it's trying to program? if so go follow the guide on how to program it as that is an issue with the bootloader. Get the $3 USBasp as it will make things much easier to program, and I have 10 on order to sell to whoever wants one and doesn't want to wait 2 weeks for China delivery. I don't have them yet so don't ask about them. I plan to buy a new game boy case rather than destroy my working game boy. Would be fantastic if their is a guide planned for this new board, very excited to build. Thats about it right there. Wermy explained what this board covers so just remove those boards out of the equation and you have your answer, and the Cart slot and SD card for it is optional. I have wired the V1.4 board as per the programming discussion. I used an old mouse lead. Rebuilt retropie to SD card etc so as a clean fresh new boot. Connect the board. I get the windows didn't recognise popup. I don't know how to progress. Windows won't see the board. 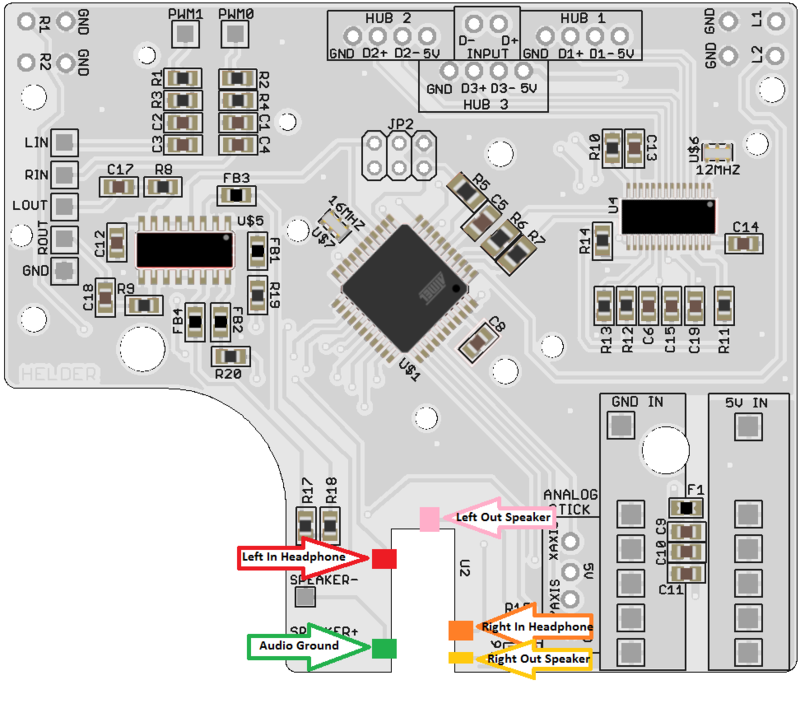 No driver installed for com port to connect to Arduino. Normally these tings just plug and play but today it want's to drive me to my wits end. Swap the green and white wires and that fix your problem. Helder Sorry to repeat a question that may have already been answered. The previous thread got a little complicated. I'm not using an analog stick so if I install the capacitors as instructed on the analog area will I still need to reprogram the board? Rod2D2 wrote: Helder Sorry to repeat a question that may have already been answered. The previous thread got a little complicated. I'm not using an analog stick so if I install the capacitors as instructed on the analog area will I still need to reprogram the board? The fix stabilizes the analog reading a bit but it still has issues with random control movements. Best thing is to reprogram it either with the Arduino IDE and some luck with bootloader mode or a USBasp. If you ground the pads instead it's a little more stable, I'm going to see if using some resistors in place of the caps will have better results but in the end reprogramming it is the way to go and it's cheap to get a solid programmer. say I get the last version of the board, will it be possible to wire a second analog stick and 4 buttons on the back ? or should I need to add another board ?